Wikipedia seems like a good place to get fast information that's at least somewhat reliable, right? Wrong. The truth is that Wikipedia is nothing more than a trove of disinformation and propaganda peddled by industry gatekeepers, intent on maintaining their ominous facades while upholding the lucrative empires that largely enslave us all, i.e. the pharmaceutical industry and its costly vaccine market. Most of you have probably heard about the firestorm caused by Andrew Wakefield's explosive documentary VAXXED, which details decades of scientific fraud covering up the link between vaccines and the injuries they routinely cause. Well, Natural News has now learned from trusted sources that Wikipedia's incredibly biased entry on VAXXED was written by none other than pro-vaccine shill Dr. David Gorski, notorious for his relentless and callous attacks on vaccine skeptics, alternative medicine, and its supporters. It's reasonable to ask: What ties did Gorski and Fata have that haven't been disclosed yet? We do know that Gorski and his team of skeptics have administrative privileges on Wikipedia and have utilized those controls to attack the natural health field and its supporters. Our sources say Gorski is using the name "MastCell" to write entries on Wikipedia. "Wikipedia's health topics have long been hijacked by vaccine sociopaths and paid pharmaceutical shills. 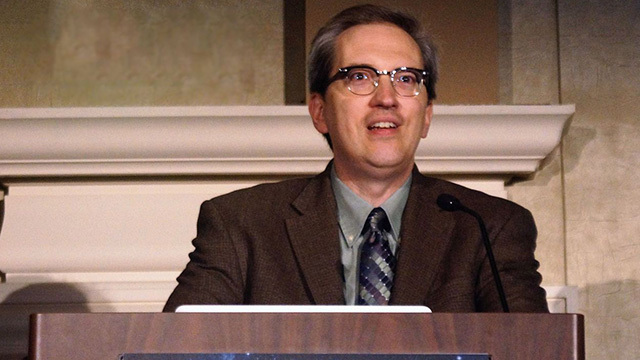 Dr. David Gorski is the top disinfo coordinator for Wikipedia, giving him a platform to reflect his internal psychopathy and pathological hatred for all things holistic and natural," said Natural News' Adams, author of Food Forensics, science lab director of CWClabs.com and creator of Medicine.news. Wikipedia's entry on VAXXED preferentially gives the floor to the documentary's attackers, listing five nasty and discrediting reviews calling the film a "hoax," while accusing it of relying "on tons of random factoids positioned out of context to drive home his [Wakefield] agenda." Another VAXXED "review" featured by Wikipedia, Gorski and his team of skeptics, accuses the documentary of putting "the viewer through a well-trod gauntlet of emotional pleas, context-free statistics... and shadowy conspiracies." Clearly, Wikipedia's entry was not written by "tens of thousands of regular editors," including "casual readers," as it so claims under its "Overview of editorial structure," which dishonestly insists it has "mechanisms" for weeding out "bad edits" and "problematic editors." If it were truly written by ordinary citizens, we would be willing to bet that a few not-so-biased (and not-so-hateful) reviews would have made their way onto Wikipedia's VAXXED entry, especially considering the film sold out 10 shows before theater doors even opened in California. Los Angeles alone sold out five shows in about 48 hours. The film is so successful that it's moving on to several other cities including San Diego and Phoenix; it's also scheduled to show in Louisiana – with more cities and states to be added soon. Wikipedia's bashing of VAXXED is yet another attempt by the pharmaceutical industry to censor the truth about vaccines. "That Wikipedia still allows deranged people like this to vandalize its web page to destroy independent films only speaks to the total lack of credibility Wikipedia has earned for itself. On topics of health and medicine, Wikipedia isn't run by volunteers but by angry, anti-science fanatics who are ultimately funded by Big Pharma," said Adams. "The filmmaker claims that it is a documentary 'that explores the journeys of parents whose autistic children were plausibly affected by a vaccine,' however critics consider it propaganda with surgical oncologist David Gorski labeling it a 'propaganda film by a known scientific fraud.'" So, what exactly does Gorski have to gain from discrediting the anti-vaxxer movement? Well, we have a few ideas. As Natural News reported Monday, Gorski's employer, Wayne State University, has a lot to gain from an ALS drug called riluzole that could be used to treat autism, according to epidemiologist Jake Crosby, who also said Gorski is experimenting with that same drug to treat breast cancer. In his Wayne State laboratory, Gorski focuses on the research and development of prescription drugs. However, he's working not to create new medications, but rather new uses for existing drugs, a process far more lucrative than creating new drugs from scratch. "The potentially profitable drug Gorski is in the process of conducting a clinical trial for is the ALS drug Riluzole.... Amplifying the conflict further is that the same drug is also being studied for the treatment of autism," wrote Crosby.